Money was the main talking point this off season, which grew longer than usual because of, money, and that NBA Lockout. The effects of the lockout and the new deal will only be felt in future seasons. For now, the top 10 highest paid NBA players are safe, with the average salary of those chosen few rising this year in comparison with the last. A note about parity, which was also an issue. These 10 players are split between seven teams, with the Lakers, Mavericks and Knicks putting two guys each on this list. Despite efforts, this will always be a league that allows richer owners to spend more money. There’s no fighting that. May not be with the Magic for long, if rumors are true. Well, for now at least, Howard is the unhappiest of all the highest paid players in the league, waiting for a word on him being traded somewhere, preferably the Lakers or the Nets. The three time defensive player of the year had another tremendous year in Orlando last season, averaging 22.9 points and 14.1 rebounds, but got knocked out of the playoffs in the first round. He wants more. Beginning his second season with the New York Knicks, Stoudemire doesn’t shoulder as much individual expectations as he did when last season began, but the expectations from the Knicks to do more than a first round playoff appearance are higher. 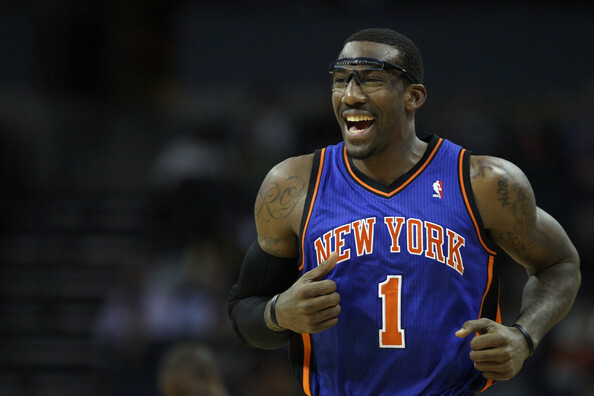 Amar’e averaged 25.3 points and 8.2 rebounds per game, making his sixth All-Star appearance, first time for the East. When a player starts getting moved around quite a bit, it means that he’s not all that good, or just well past his prime. 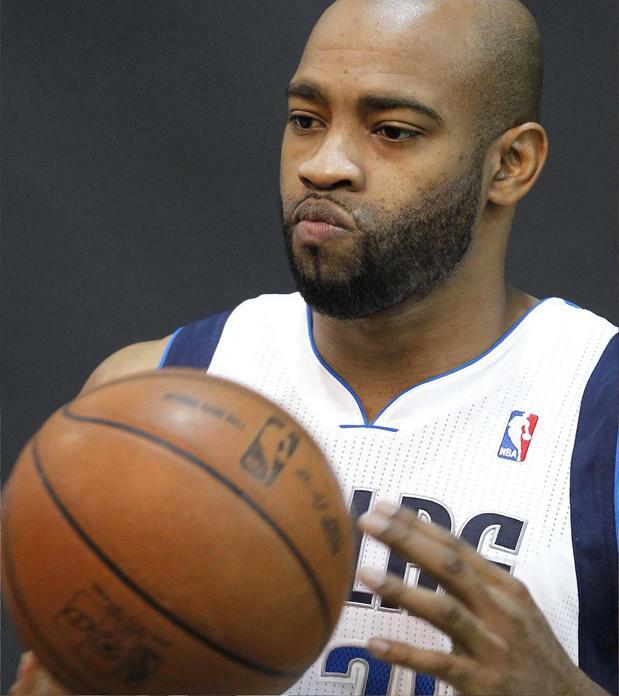 Vince Carter had a pretty disappointing season and a half with the Orlando Magic, then got traded to the Phoenix Suns. In Arizona, he averaged 13.5 points per game, the lowest numbers of his career. He got waived by the Suns and picked up by Dallas, with one this season guaranteed on his contract. Carter reached the 20,000 career points milestone last season. Only once in his 8 year NBA career has Carmelo Anthony made it past the first round of the playoffs. It happened in 2008-2009, before meeting the Los Angeles Lakers. He does get his teams into the postseason each and every time, something both LeBron James and Dwyane Wade can’t boas of. But it stops after four to six games usually. 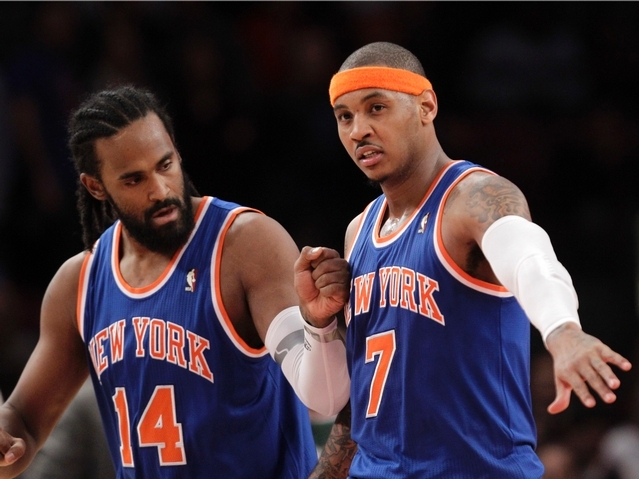 Last season (26.3 points for the Knicks) getting the Knicks into the playoffs was enough. This year, they’ll want more. Pau Gasol’s regular season was great, as usual. Averaging 18.8 points and 10.2 rebounds per game, Gasol again looked like the barometer of the Lakers trying to defend their title, going for the three-peat. Things fell apart mid-season and then again in the playoffs. Gasol averaged 13.1 points and shooting %42 from the field. It’s not all on him, but a lot is. 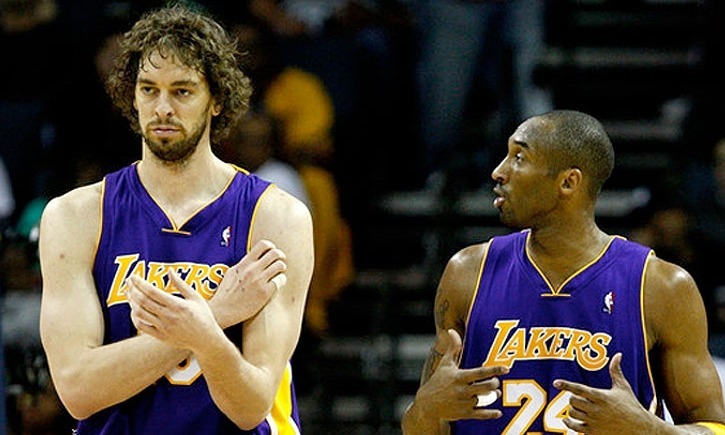 The Lakers tried to trade Gasol to the Hornets and it didn’t work. 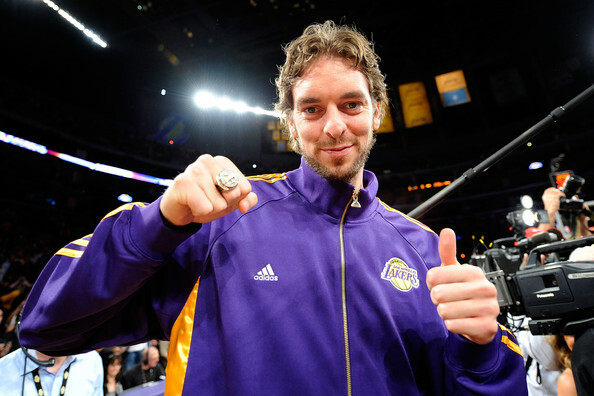 Pau says he doesn’t mind. I’ll guess we’ll see soon enough. The highest paid of the Spurs core three is also the least effective these days of the trio. Tim Duncan is a four time NBA champion, 3 time Finals MVP, two time MVP, a 13 time All-Star and nine times All-NBA first team player. Don’t get much better than that. But he played less than 30 minutes a night last season for the first time in his career, averaging 13.4 points per game. Needless to say it was a career low. At 35, with over 1050 career games, it’ll just get lower from here. 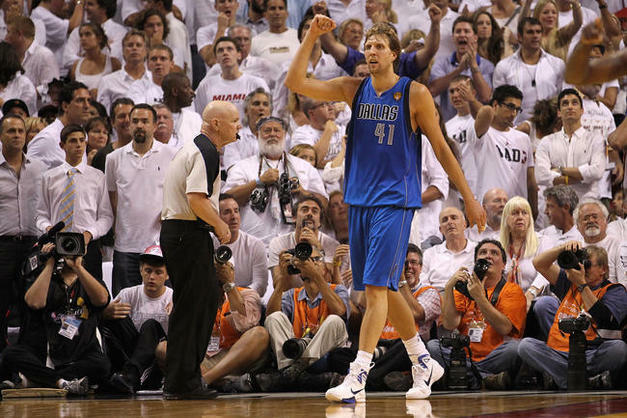 It’s going to be interesting to see how Dirk Nowitzki plays with the whole championship thing behind him now. A hunger for more titles, calmness or finally allowing himself to ease off? Nowitzki owns pretty much every possible franchise record for the Mavericks, beginning 14th season with the team. He played less than before during the regular season and also missed 9 games, the most since his rookie season. 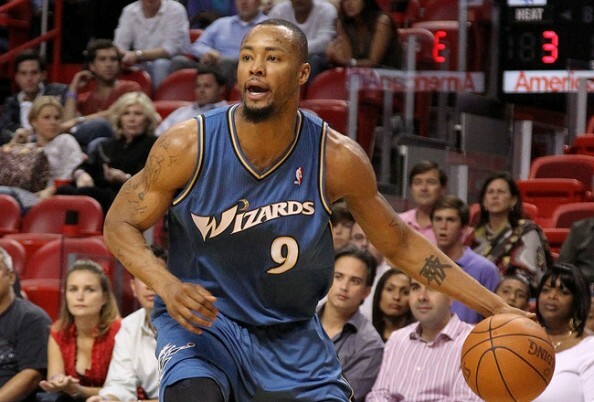 Years from now, the contract the Orlando Magic gave Rashard Lewis will be considered as one of the worst ever. They managed to trade him to the Wizards last season for Gilbert Arenas, and used the amnesty clause on Arenas in the off season. Lewis was another prime candidate for the clause, but despite his poor production per dollar, averaging 11.4 points per game, he’s on for another season with that terrible contract. 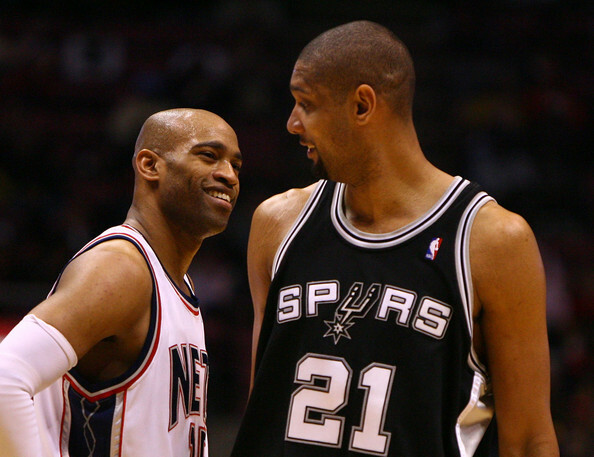 Another aging power forward. 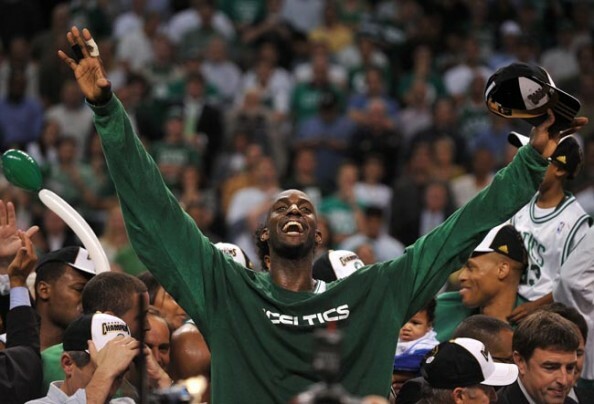 At 35, Garnett is entering his 17th NBA season and his fifth with the Celtics. The big three trio is still there, with Rajon Rondo more important than ever. Garnett’s numbers decline stopped last season, picking his scoring average a bit to 14.9 points. In the playoffs he struggled a bit, playing 8 minutes more than the regular season but not improving his numbers offensively, shooting a very disappointing %44.1 from the field. Kobe Bryant isn’t happy with what he’s seeing around him, but that immensely fat and deserved check he gets every month should sooth those emotions. Not getting Chris Paul and then seeing Lamar Odom leaving for a future draft pick hasn’t kicked off Bryant’s season like he would like it, with the Dallas sweep still lingering in the air. 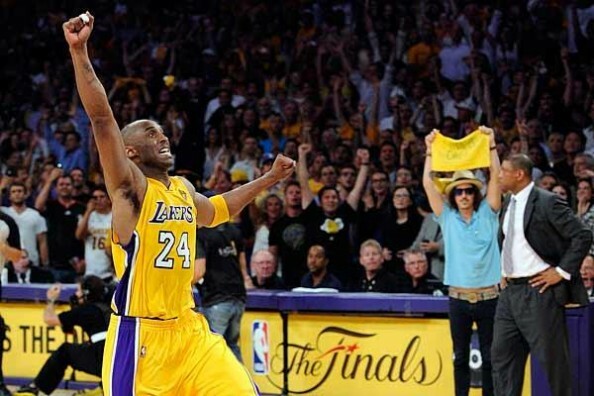 Bryant averaged 25.3 points during the regular season, playing much less than before (33.9 minutes a night). 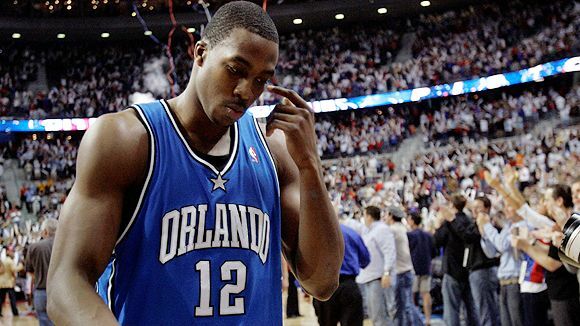 His playoff scoring, only 22.8 points per game, was his lowest in over a decade.